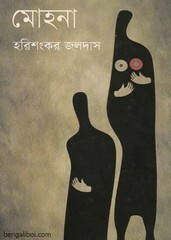 The penman Harishankar Jaladas is a novelist of Bangladesh. Born October 12, 1955, at a fishermen village of North Patenga village in Chittagong. He started composed literature since midday of his life. He received many honors for his literary work as Alaol Sahitya Puruskar, Prothom Alo Barshsera Boi Puruskar and in 2012 he recived Bangla Academy Award. In 1416, his novel 'Dahankal' was given 'Protham Alo Barshasera Boi Puruskar. Now I want to share an another popular novel of his written- Mohona. The ebook pdf has 129 quality pages, 4mb file size. Courtesy by amarboi online.